It's that time of year again - school is in session, we are waking up early, go go go 24/7, and time is flying by. I use my blog mostly to talk about my beautiful children, but some of you might not know that I have about 80 beautiful children at school as well. I wanted to take a few minutes and talk about what's going on in my classroom. 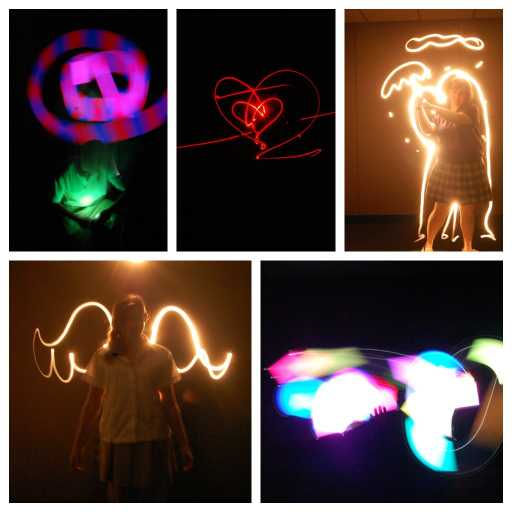 Yesterday in Portfolio, my students experimented with light and exposure times in photography. In one hour, we learned a lot, came up with some great ideas and got excited to try again next class. We used a flashlight and a laser pointer and my camera on manual mode with the shutter open. I am looking forward to seeing what they come up with tomorrow. My Middle School art class just finished a lesson on painting in the style of Vance Kirkland. I have done this project for about 4 years with kids and I always love it. They learn a little art history, they learn multiple painting techniques, and they exercise a little patience. We start with a watercolor background. They learn how colors work together, how they blend, and how to manipulate the paint. Then they get to do their favorite part, the splatter paint. After that, they start on the dots. We discuss how Vance Kirkland did many paintings that looked like outer space. This is the look they are going for. 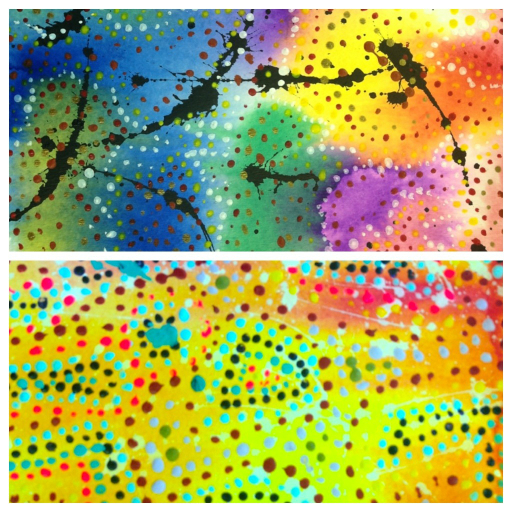 Here are two examples of what my kiddos did this year. Currently my art 1 class is working on Linoleum printmaking. I am excited to see what they come up with this year. My 7th graders are doing an American Gothic parody and 8th grade is working on making 1000 paper cranes. 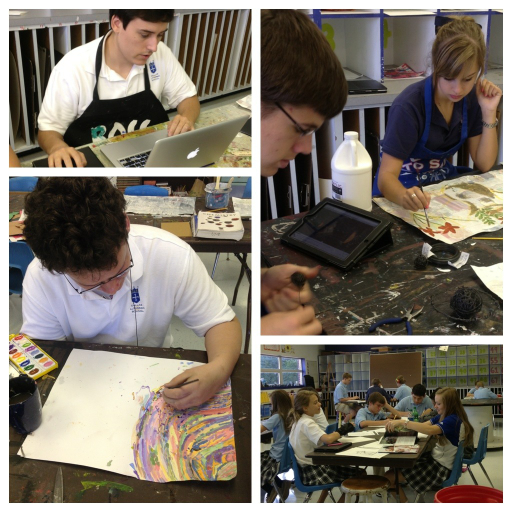 I am encouraged and excited by the start of this school year and look forward to many successful works of art.